Here at Creative Watch Co, we offer an extensive range of watch straps and bracelets to suit your needs and personal flair. Our horologists are able to supply and fit both leather and metal bracelets here at our Birmingham watch repair centre located in the Jewellery Quarter. You can find metal bracelets for both men's and women's watches and these are available in stainless steel; gold plated, two-tone and titanium. We also offer a variety of expander bracelets which stretch to fit your wrist. Once you have chosen your new bracelet our horologists will re-size your watch bracelet for you too as part of the fitting service. Our leather straps are available in widths ranging from 6mm up to 24+mm with an extensive colour choice; with brands stocked such as Morellato, Condor and Hirsch with prices ranging from £7 to £60. We can also order and fit the original watch brand or leather straps. We also offer a variety of while-you-wait repairs such as new pins, buckles, wing pieces or catch adjustments. For link removal on bracelets bought from another retailer, we charge a standard £10 fee however for Ceramic links this is charged at £25 due to the risk of the ceramic breaking whilst the links are being removed. Our expert horologists are fully trained, equipped and confident to remove these links for you here at our Birmingham watch repair service centre within the Jewellery Quarter. 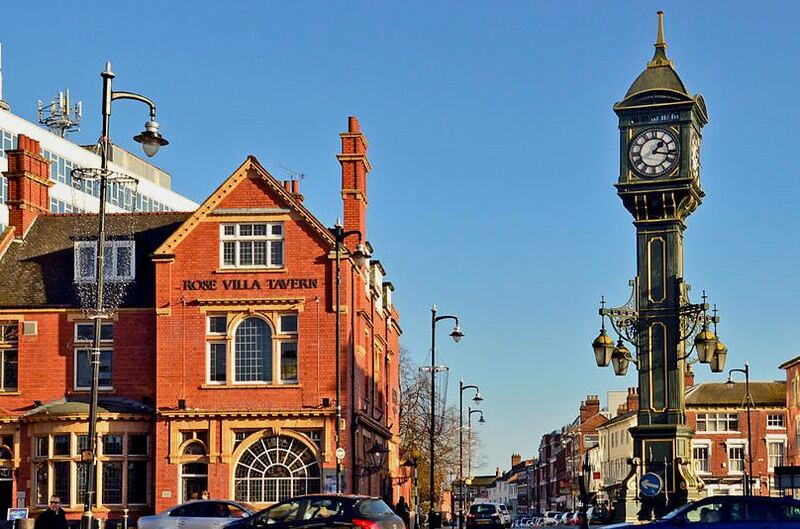 Located just a stone's throw away from Birmingham city centre you'll find the historic Jewellery Quarter; take the bus, tram or even a leisurely walk and you'll be surrounded by streets filled with history and stories to tell. Explore the myriad of jewellers along Vyse Street; this is where you'll find our watch service repair centre located within our stunning showroom. Morellato produces some of the highest quality Italian leather watch bands in the world and we here at Creative Watch Co are proud to offer you a wide array of watch straps from this brand. Morellato straps are crafted by expert artisans who work only with the finest raw materials such as exotic reptile skin for their Alligator leather and premier calf-skin for their leather straps. The brand prides their selves on tanning their leather in accordance to current legislation and only chose hides from sustainable sources. Each strap is made by hand from the initial selection of skin, right down to each individual stich. These watch straps are crafted with exquisite care and attention ensuring a high quality prestigious product and are tested in compliance with the Swiss watchmaking standards. All Morellato leathers adhere to the REACH guidelines ensuring that each strap is hypo-allergenic and free from hazardous substances. 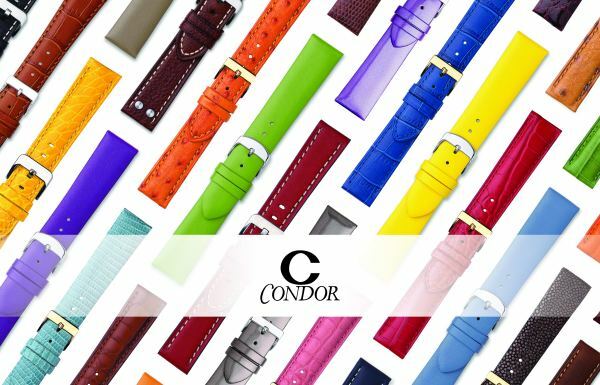 Here at Creative Watch Co we stock a wide array of Condor leather watch straps in a multitude of widths and colours. All Condor straps are made from genuine Calf-skin leather and are rigorously tested to ensure that they are both sweat and water resistant. These are lined with hypo-allergenic leather and the buckles adhere to the strict regulations of the EEC regarding nickel releasing; this means that Condor straps are kind to the skin and reduce the risk of adverse reactions to the wearer. Each Condor strap is finished with a Rembordé edge which has been specifically designed to increase the strength and water resistance of the strap. 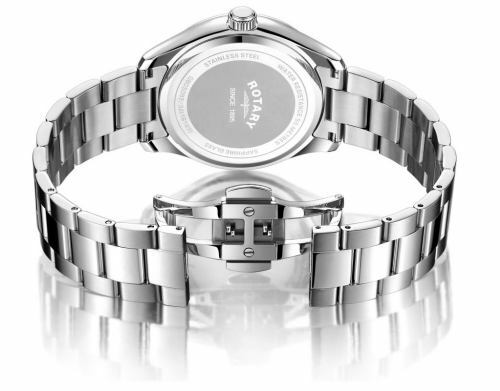 We also supply a myriad of Condor metal and mesh bracelets available for both men's and women's watches. We stock; stainless steel link, gold plated link, two tone (Stainless steel and gold) link, rose gold plated link and Titanium link bracelets. We also have a variety of stainless steel and gold plated Milanese mesh style bracelets. If you have found that you are having a skin reaction to your stainless steel strap; we can fit a new Titanium bracelet for you. The benefit of Titanium is that it is extremely lightweight yet 40% stronger than steel. Titanium is also hypo-allergenic meaning that the likelihood of it causing any adverse reactions to your skin is next to none. If you would rather replace your watch strap with the brand original we can source and fit these for you to special order. You will need to book your watch in with our repairs department here at our in-house watch service and repair centre located within our showroom in the historic Jewellery Quarter of Birmingham. Should you require additional links for your original brand metal or ceramic watch bracelet we can also supply and fit these for you. Our horologists are also able to repair damaged clasps and buckles on your watch should you require it.